The ubiquity of mobile devices and the use of QR code coupons by retailers have opened up new opportunities for sellers to engage with their customers. At the same time, consumers are seeking more novel ways to interact with products and a more personalized design to their shopping experience, in-store and online. Businesses capitalize on new opportunities in the expanded digital marketplace. Mobile barcode campaigns created with NeoMedia’s business solutions are helping to bridge the distance between customers and an enriched digital experience. 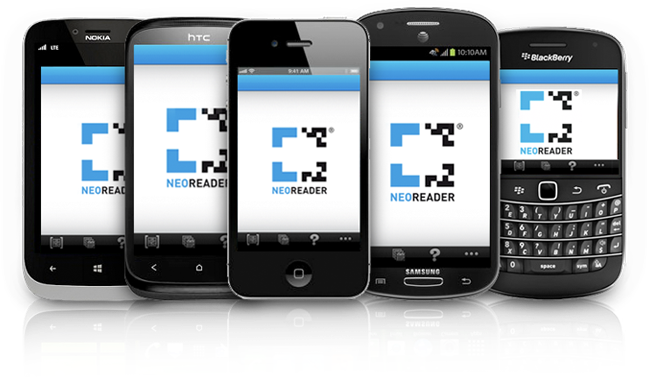 Weather taking advantage of our self-service QR code solution, QodeScan, or our advanced QR code campaign management solution, NeoSphere, mobile barcode applications from NeoMedia are the right fit for your business. An advertising campaign offering QR code coupons will support and enhance your existing marketing program. With the ability to generate over 15 reports on a scheduled or ad-hoc basis our business solutions provide powerful analytics about your customers: who they are, what campaigns they are interacting with, location data, as well as when and how often they are scanning. Take advantage of one of NeoMedia’s full-service platforms for easily managing your mobile barcode or QR code couponing campaign. Contact us today to find out about our fully featured solutions that allow you to quickly create, modify, and implement all major open standard 2D code symbologies.